A Signode, Marsh, Bostitch, ISM, Holland, Loctite, Ty-Tech and Bunn Tying Machine distributor. We stock Marsh tape machines, stencils, Marsh ink, staples, staplers, fragile labels, boxes, rubberbands, poly straping, steel strapping, mail kits, strapping tools, stretch and shrink film, and hot melt glue. Our product listing shown here does not reflect our complete line of products. If you are looking for a specific item give us a call and if we do not have it we will be happy to try and find it for you. 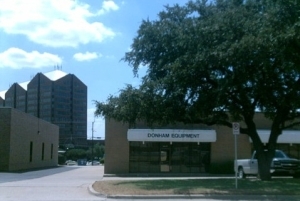 Donham Packaging Equipment has been in business since 1947. We offer a complete line of Packaging/Shipping Room supplies. Thanks for shopping at our site.